The LG V20 certainly has plenty of “stuff and things,” but what if LG made a phone that had a bit more stuff and things, was more compact, and featured water resistance? That’s exactly what the V34 (aka isai Beat) is, available exclusively in Japan. Specifications for the newly announced V34 include a 5.2″ WQHD display, Snapdragon 820, 4GB of RAM, microSD card support, dual rear-facing cameras, 3,000mAh battery, IP67 water and dust resistance, and Android “Nougat” at launch. From our perspective, this sounds like a great phone already, but add in the always-on secondary display, quad-DAC, plus B&O branding, and not launching this phone for the US seems like a major missed opportunity by LG. 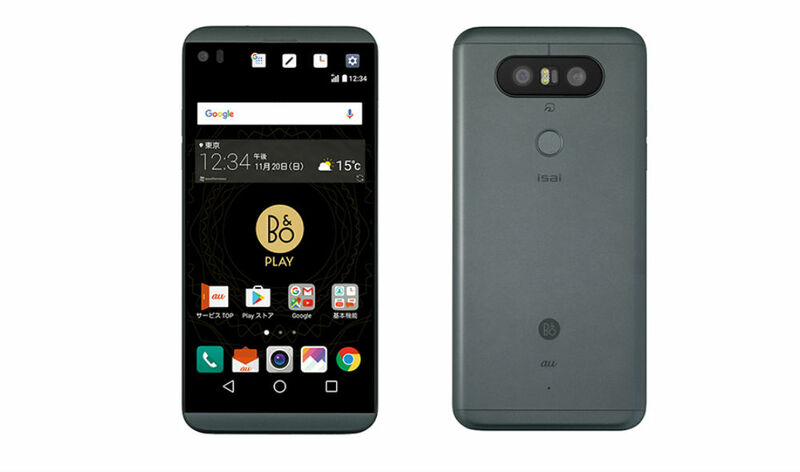 While the V20 will surely capture the hearts of a few US consumers, this V34 could have been primed for dominance. With the Galaxy Note 7 disappearing from shelves due to an explosive personality, buyers are looking for something else, and in terms of “new” phones, all we have is the Pixel and Pixel XL. Considering those devices are missing a few high-end features, like water resistance and expandable storage, I can’t help but think LG is making a misstep. Seriously, this is the phone we wanted, LG. The V34 is expected to launch in Japan this November in Titanium and Gold options. No word on price quite yet, though.